So, since my last post, there’s something I’ve been doing a lot. Unfortunately, it isn’t yoga, working on my puzzle, or eating much other than cookies, but it is going through old chat/message archives. I got the message when I was visiting my parents for the weekend. I was sitting on the futon in my little sister’s room, and when I read the first line, I looked up to make sure I was, in fact, alone. It wasn’t a love letter by any means, but it was the first acknowledgement that there was something there that was strong enough to keep going and to get stronger despite the fact that we wouldn’t see eachother again for nearly a whole year. Once I ran through all the Facebook messages we sent to each other during that first year apart, I decided to go back and look through our MSN chat logs. Hey, I might as well take advantage of having as much time to myself as I have at the moment, right? Anyway, besides reliving the warm fuzzies and the thrills of many of our “firsts,” I’ve also been getting the thrill of reading something we wished, and realizing that it’s totally coming true. Like, right now. We talked so often about how much we looked forward to getting married, how we both wanted to be married young, how we so often thought to ourselves throughout the day “if only _______ were here, this would be at least twice as good.” Andreas even said at one point, that he was struck with the random thought that he would like to have kids at around the same time as one of his sisters, so they would be around the same age. It’s like each one of our little thoughts and hopes was actually a mini prophecy. Getting married was the best thing that’s happened to us so far. We did get married young. Grocery shopping, doing puzzles, watching TV, and even cleaning up after dinner is at least twice as good when we’re together. And why yes, your mom does love me. But it wasn’t all warm fuzzies. Rereading our conversations and messages reminded me how tough of a time I had sometimes in school. Being sleep-deprived, overworked, overhomeworked, and dealing with drama between friends was really tough. I was often depressed, and sadder than I remember being when I think back on my college days in general. It reminded me that nostalgia is all well and good, but that what I have now is so much better. Moving to Denmark, dealing with visa issues, language barriers, frustrations, and homesickness has not been easy. At all. But sometimes I forget how hard things used to be, when Andreas didn’t come home to me every night. Things have changed so much in the last few years, and even though I haven’t really made fast friends here yet, or feel very at home, or feel like I’ll ever get over my homesickness, things, on average, are a lot better than they ever were before. I’m nervous for the next step in our lives. I’m nervous for my Danish tests, and sometimes sad that I don’t have friends to hang out with, get coffee with, or sit around and do a puzzle with. But I am so, so thankful to have gone through everything I have, and to be done with it and to have reached where we are now. I also realized the other day that there is one respect in which this whole moving-overseas thing has been easy for me. I never, ever think about not having done it. Maybe it’s just because it was sort of my plan for so long, or because we worked so hard for it, but I never have considered the fact that maybe it was a mistake. It wasn’t. This was the best thing we could have done, for Andreas, for me, for us, and for Baby ZA (Zeta+Andreas…also, that’s not actually its name. Don’t freak out.) Knowing this helps me get through the hard times, because I can’t really think of anything that, without some sort of magic wand, could be better. This was longer, and sort of lovey-dovier than I expected, but sometimes you just need a little confirmation, and sometimes you have to type out that confirmation to make sure that you remember it. Things are actually going really well at the moment, but I’ve been busy with plans Andreas and I have with others, and starting my new Danish class this week that it’s been a lot overwhelming. I hope everyone else’s spring is springing and they have as much to be thankful for as I do! So, apparently spring “officially” begins in Denmark on March 1st. This year, it is forecasted that the temperatures will not drift above freezing until sometime in April. So it doesn’t feel like spring. We did have a couple of glorious sunny almost-warm days at the very beginning of March, but since then it’s been nothing but a big bummer. 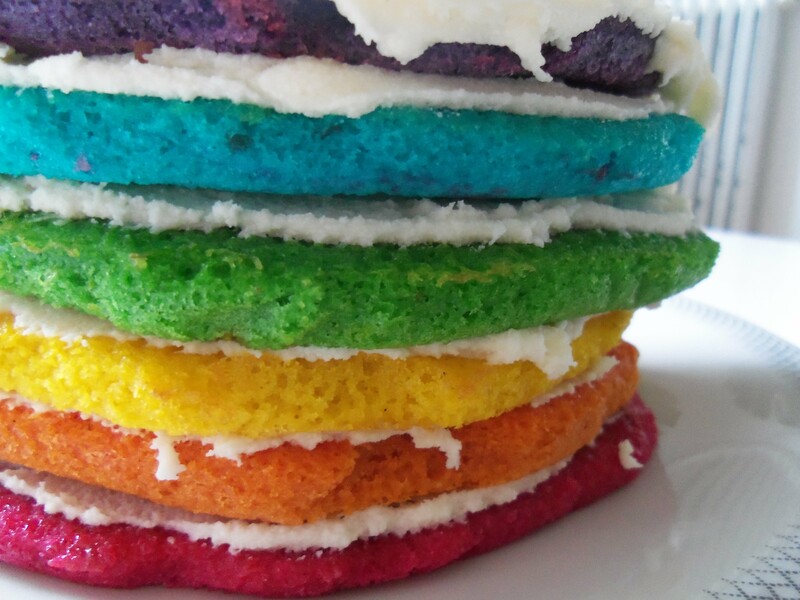 However, we have to get into the spring mindset somehow, and baking is obviously the way to do this. So even though I’m fasting from cakes/candies/yummy things during daylight hours, I was able to volunteer to bring a cake to our Ruhi study circle last week, and therefore had an excuse to bake one! 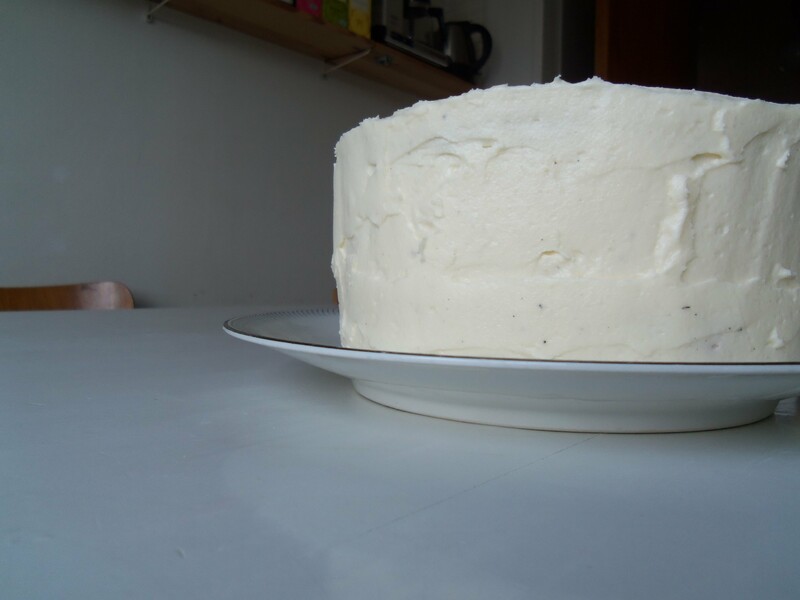 I’m pretty sure I chose carrot cake because I wanted something to go well with the cream cheese frosting I had been daydreaming about, but any reason to make a carrot cake is a good one, and I can tell you I didn’t regret this at all! Of course, I had to decorate accordingly. It was pretty cute, if I may say so myself. I didn’t want the plastic wrap to ruin my sweet little carrots while it was in transport, so I finally, FINALLY bought some toothpicks. I have been wanting toothpicks since last August when we moved from the last sublet that had toothpicks in the cupboards. 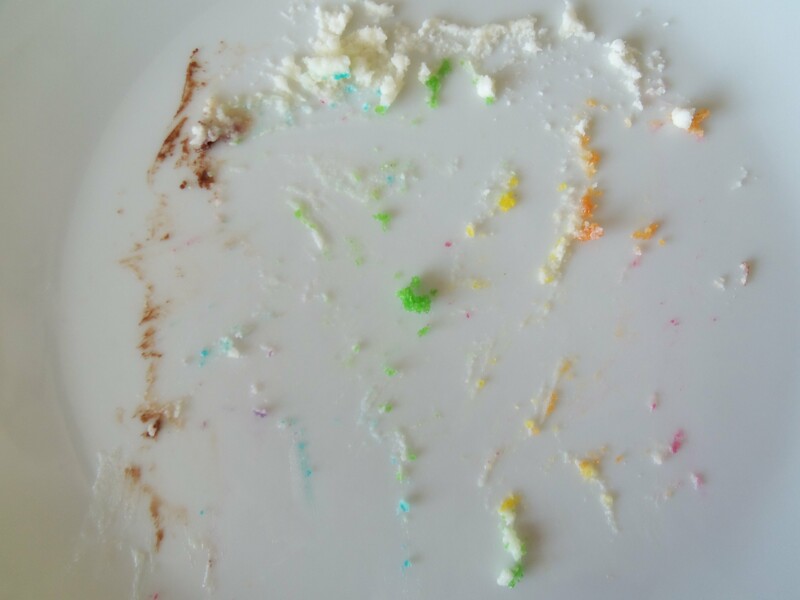 I don’t use them on my teeth, but for testing done-ness, cleaning odd things, and, of course, holding plastic wrap away from nicely decorated cakes! The problem wasn’t finding them. Toothpicks are probably just as common in Denmark as they are in the US, the problem was remembering to buy them. Ever. But finally, I had a good enough reason to scoot out to the store just for the sake of buying toothpicks because I couldn’t stand not remembering again. 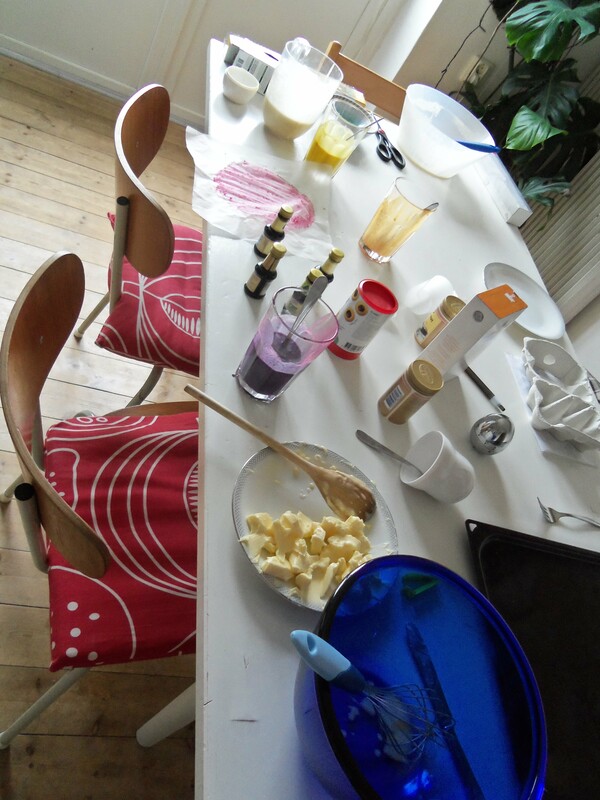 And it was a good thing I did, because they came in handy with the cake-baking I did yesterday, as well! That’s right. Two cakes in one week. Luckily they were both to share, or I think I would have added substantially to my minimal weight gain. 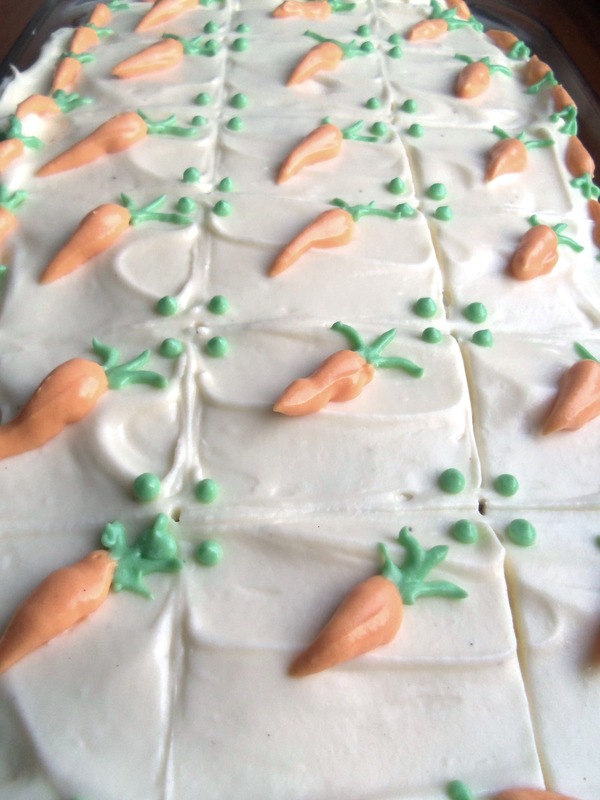 The other cake post will be coming up shortly, I promise, but for now, here’s one more picture of the carrot cake. (By the way, it was super delicious.) 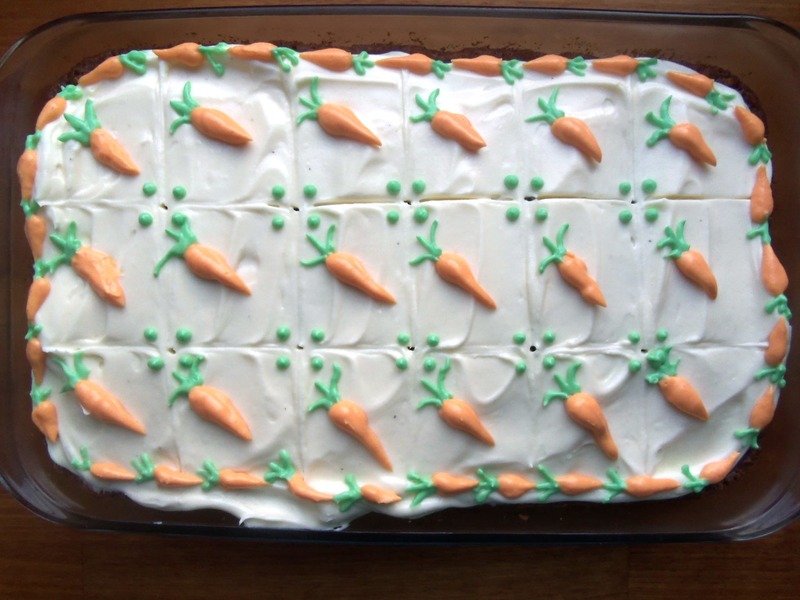 Also, I may have overdone it with all the little carrots around the edge, but they were so fun that I couldn’t help myself! It’s spring. It is sooooo spring. Today is the first day that I really feel it. It is bright, it is sunny, and people are walking around “in their shirtsleeves” (I wish people still used this phrase). Although I spent the morning accidentally locked into the apartment, I love that we have a sunny balcony. I love that my neighbors play string instruments on their sunny balcony. I love that every door was open, letting in the beautiful music, and the delightful spring air. I love spring. I also like caramels! I’ve been wanting to make them for a while, but it was one of those sort-of-intimidating can-I-really-do-it projects. However, with my new resolution to tackle that exact sort of project, into caramel, I dove! I didn’t have a candy thermometer, so I decided to try the “cold water” method (and by “decided” I mean, I’d already started boiling the caramel when I realized I didn’t have a candy thermometer). It ended up going really well, although the caramel is a bit softer than I was aiming for, I’m pretty proud of how it turned out. 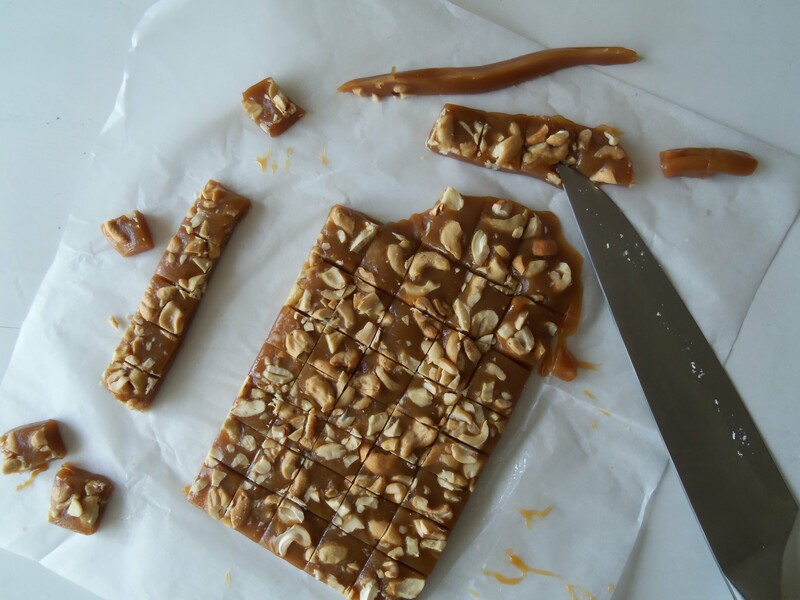 I used the basic caramel recipe here. Some of them, I rolled into “logs” and set out to cover in chocolate, but I realized they looked too much like turds when I did that, so I decided to just drizzle them and wrap them in parchment paper, heh. All-in-all it was a good experiment. 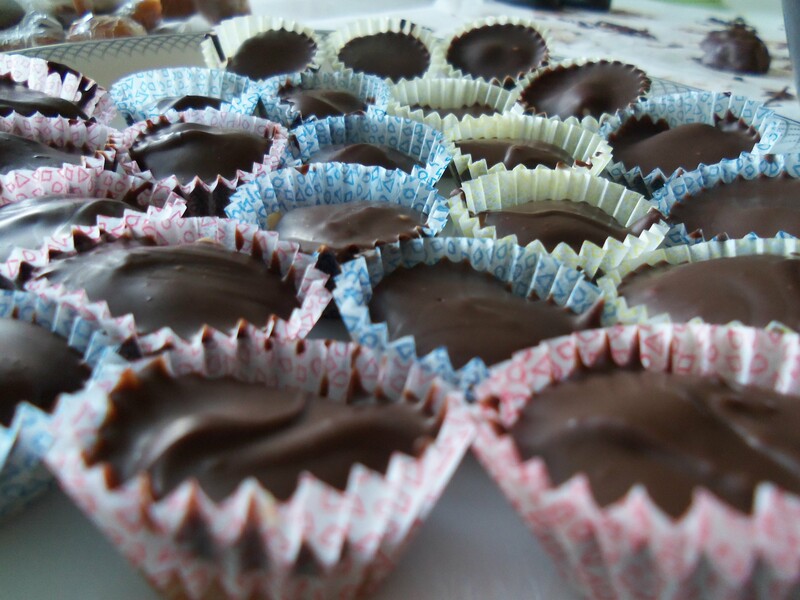 I’ve been wanting to get some more experience making candies, because I think sometimes they make better gifts than baked goods do (and they’re easier to give). 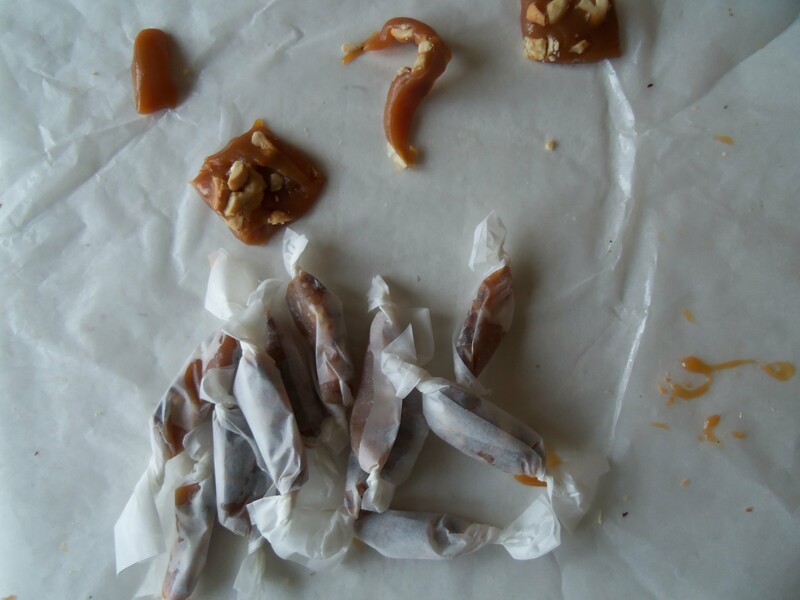 Caramels and spring…how can I not be happy? and I wasn't about to clean up, just to take process pictures. I’ve made a resolution recently to make a list of all the things I’ve always thought are too complicated or take too long to make, and make them all! I know I would regret it if I wasted all this free time being bored and wishing I had something to do, so I’m going to stop using the excuse of “I’m really bad at self-motivation” and “I get really lonely, then bored, then depressed.” Maybe it’s because it’s the new year, and the beginning of spring, but I’m full of energy. 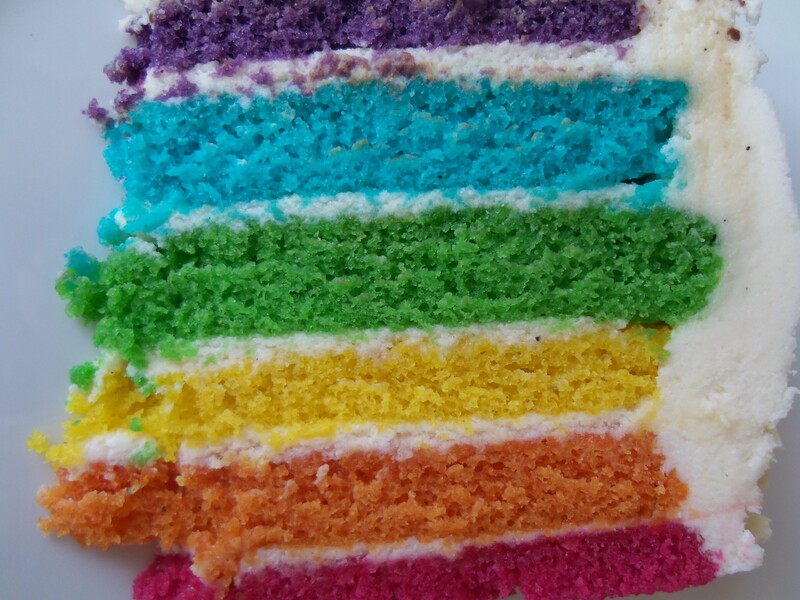 It also might have something to do with being able to eat lunch…..and rainbow cake!